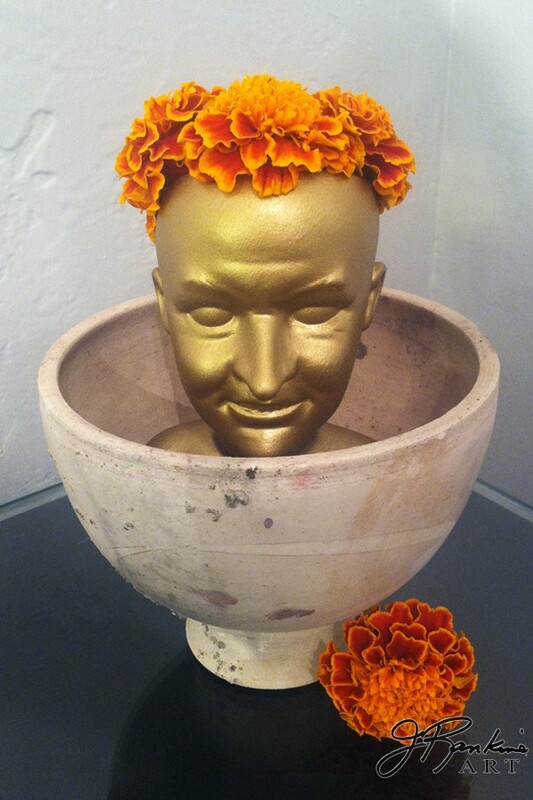 “Headlites” was a series of found object assemblages inspired by an antique German doll head. Local ceramic artist Lynn Williams cast 25 replicas of the head in porcelain, which I hand-painted and combined with lamp parts and found objects. 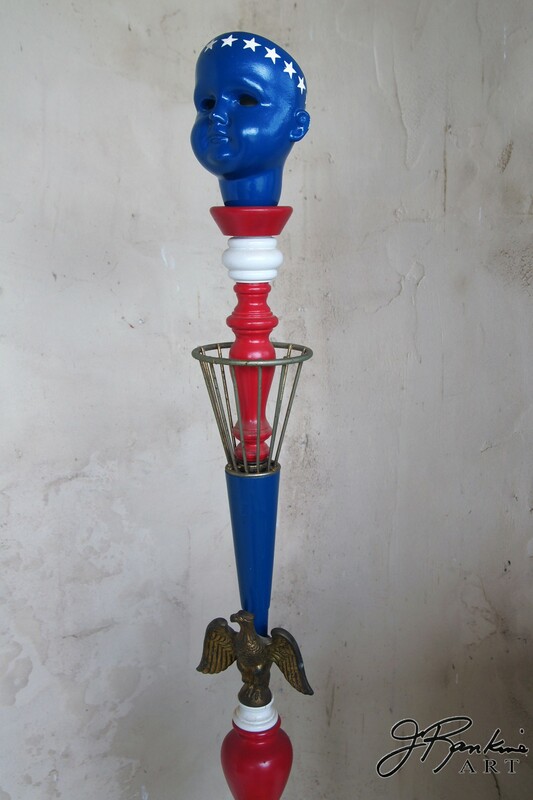 The sculptures were wired to illuminate and all 24 pieces were exhibited at Rococo Gallery in Eureka Springs in 2001.